Many of us are caring for individuals who have Alzheimer’s or dementia. 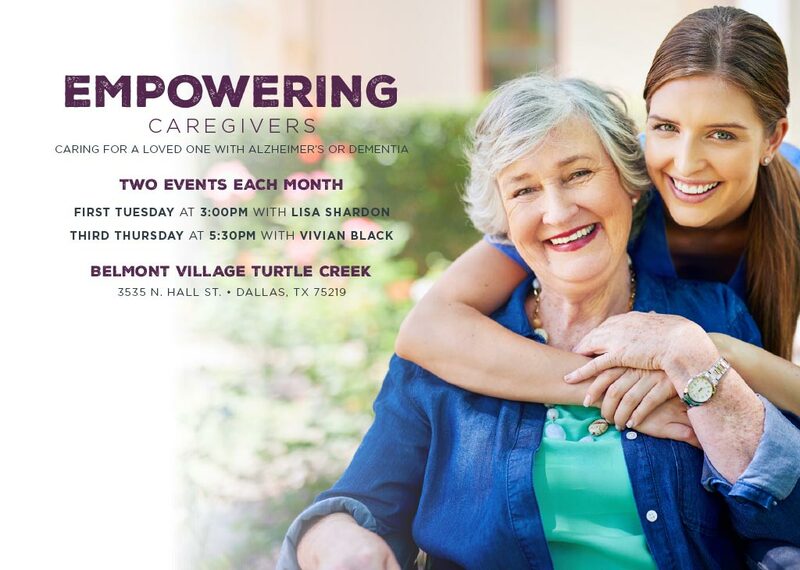 Join us for our Caregiver Support Group facilitated in partnership with the Alzheimer’s Association. We’ll share caregiving approaches we’ve tried and discuss what works, what doesn’t, and how you can care for yourself and your loved one during this challenging time. For more information or to RSVP, call 214.559.5424.